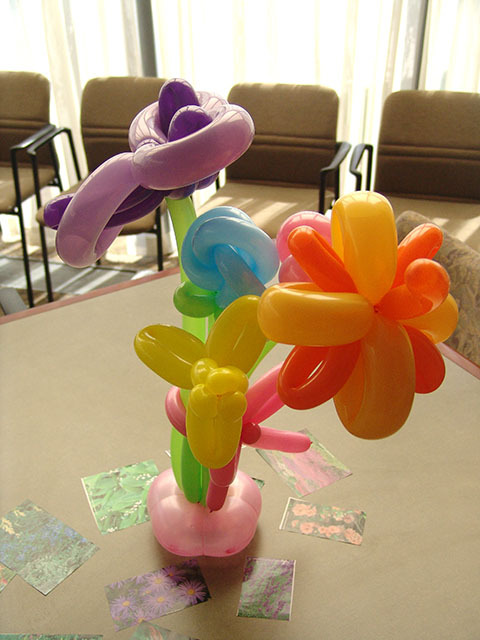 This is the time of year for twisted balloon flowers. 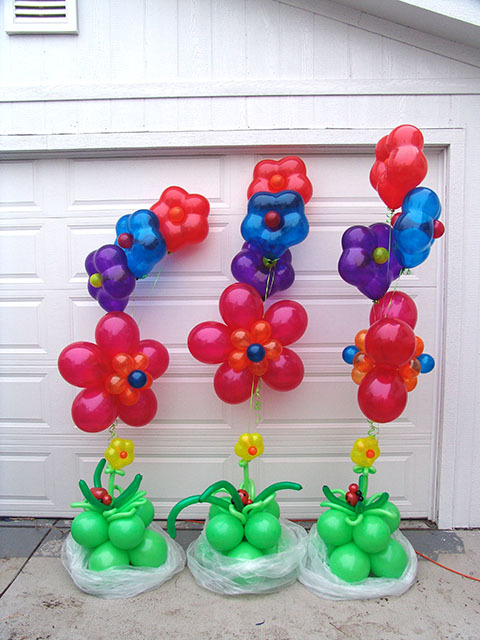 These are a perfect explosion of color for indoor and outdoor events. 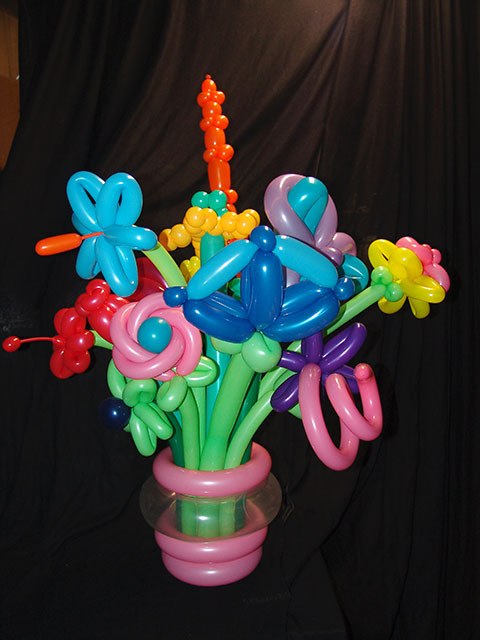 Contact us and let us bring you some flower power! 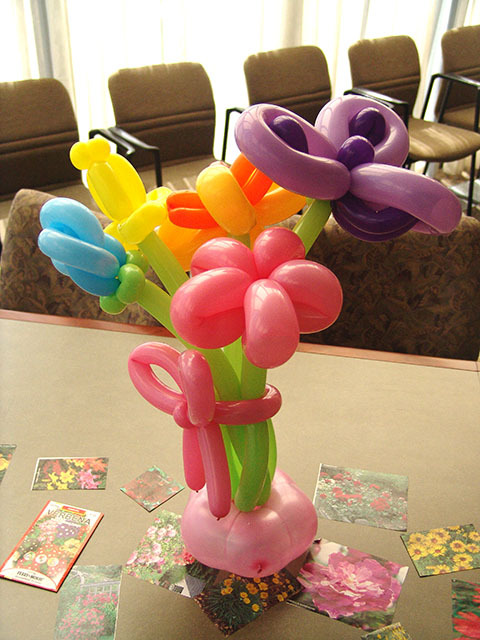 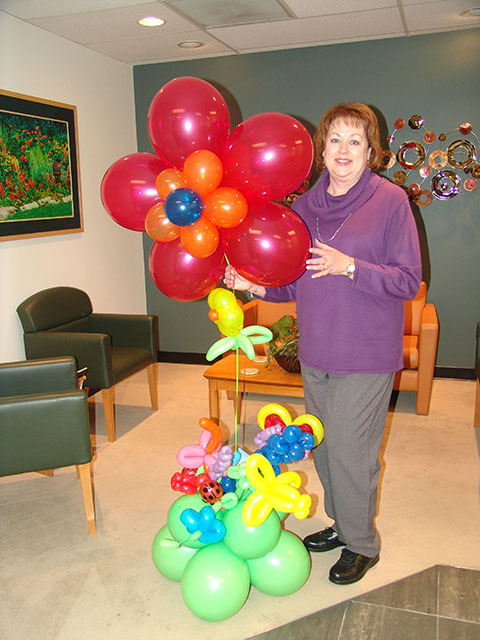 Add Twisted Balloon Flowers Anywhere! 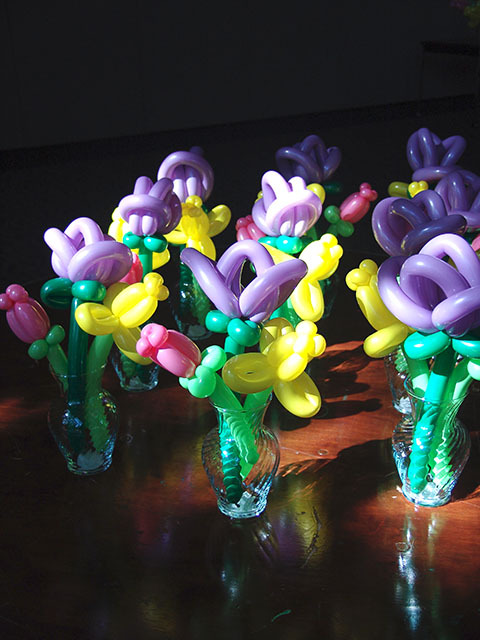 By adding twisted balloon flowers to your event, you can expect the event to be much more livelier. 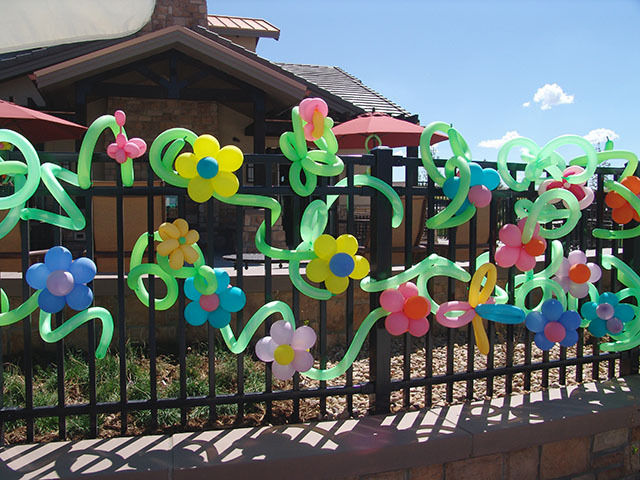 Here we took an ordinary iron fence and turned it into a explosion of bright colors!